This looks so fresh and delicious. Anything with avocado is good with me. Thanks Dannii it was a delicious and beautiful salad and am so glad I have found a great new combo. Yes I love avocados too but am suspecting that they are not the only thing that makes this so flavourful. Sometimes the best meals are made from what you have in the fridge and cupboard! This sounds so tasty and is full of very nutritious ingredients. I can imagine the flavours worked really well together. Yes Lucy the ingredients really combine well to create a healthy, delicious, easy to make superfood combo that’s low on GI,Low carb, low cholestrol,sugar and oil free, dairy free, vegan friendly and packed with nutrients and most importantly keeps your tummy full for longer. This looks so fresh and full of good stuff. 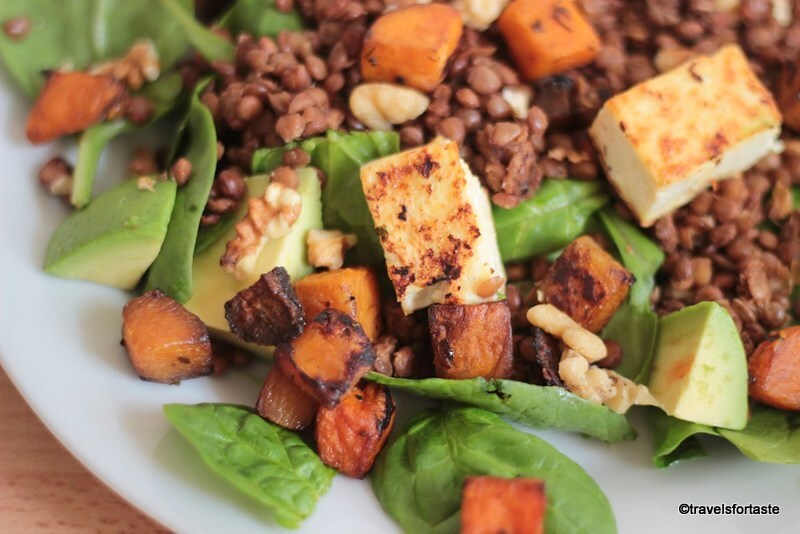 What an awesome superfood boost salad! Would make a perfect lunch to combat the afternoon slump. 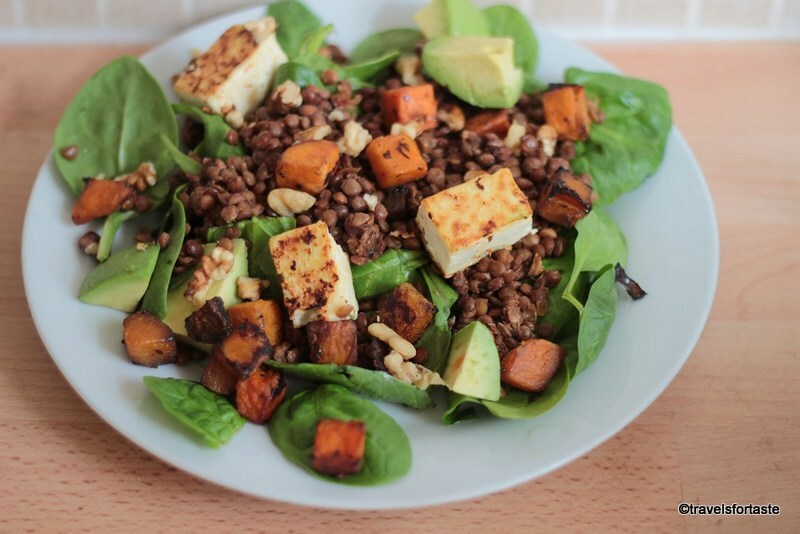 It is definitely a fab way to bust afternoon slump time isn’t it Sarah, I love salads and mixing things up! Lovely recipe! 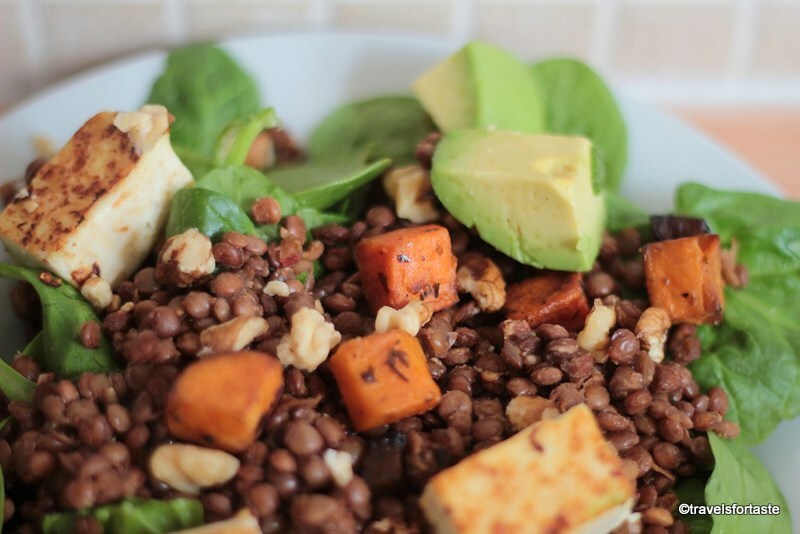 I adore lentil salads at lunchtime – they are also great for taking to work as they are so portable. Thanks Helen, yes indeed very portable and a super idea for a packed lunch for stressful work days. I’m a big lentil fan Manjiri and I also adore avocado and squash, so this sounds like a rather gorgeous recipe I would be very happy to share with you. Happy to share with you Choclette and with my obsession with avocado right now – probably a lifelong one, am sure that I always have these ingredients on me! Thanks Bintu, I love whole masoor and could literally eat them everyday!